The Swine Flu is projected to impact 30-50% of the US population this year and lead to as many as 1.8 million hospital admissions. 30,000 to 90,000 deaths are expected in the U.S. among children and young adults. Order our comprehensive Swine Flu response plan today to ensure the safety of your students and employees. Occurring over a wide geographical area and affecting an exceptionally high proportion of the population. 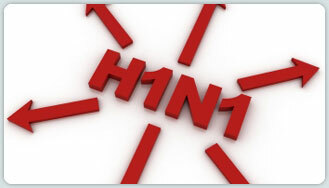 In 2009 and 2010, the swine flu pandemic is forecasted to impact our schools and businesses like no other since the 1968 influenza pandemic which caused 700,000 deaths worldwide. We are prepared and we have a plan – for every school and every business.